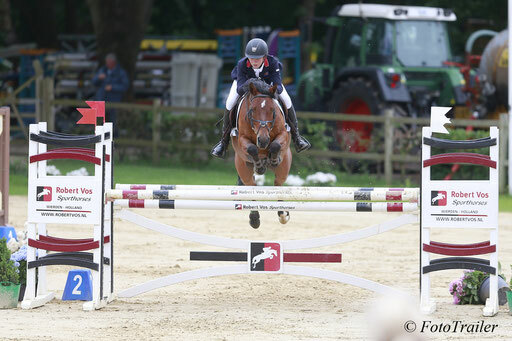 The first international pony class in Wierden ended with a British victory for Oliver Fletcher with Matchano. Tom Wachman from Ireland became 2nd with Blessington Grange Mist, followed by the Dutch Britt ter Harmsel on Gieltje. On the 4th and 5th place finished Erik Nordström from Sweden and Julie Thielen from Germany.